WordPress can now handle a wide variety of different multimedia formats, video being included – you can upload your own videos directly to WordPress using the media manager or you can embed video content from other websites like YouTube and Vimeo. You can use WordPress to create your own video website and create a site like YouTube to display videos from different niches, you can accept user uploads or just use it to host your own collection of videos. Video used to be a small part of how people consumed online content, due to slower internet connections and proprietary technology using flash etc. Now with HTML5 and faster connections, online video content is huge and only growing more and more with streaming services such as Netflix starting to put a big dent in traditional cable services and more people spending time on services like Twitch, YouTube and other similar sites. Now is a great time to get into producing your own video content or hosting other people’s. If you are choosing to host your own video content, you will need a provider which offers a lot of bandwidth as video files can be quite large and if your site receives a lot of traffic the bills can quickly add up. We recommend that you choose a good web host for your main site and use something like Amazon S3 for hosting your video files and a plugin like WP offload S3 to embed the files from there. Really though, the benefits of using YouTube or Vimeo are too big to ignore, not only will the host the videos for free, you get the benefits of your videos being found on their platform and also in the search results. 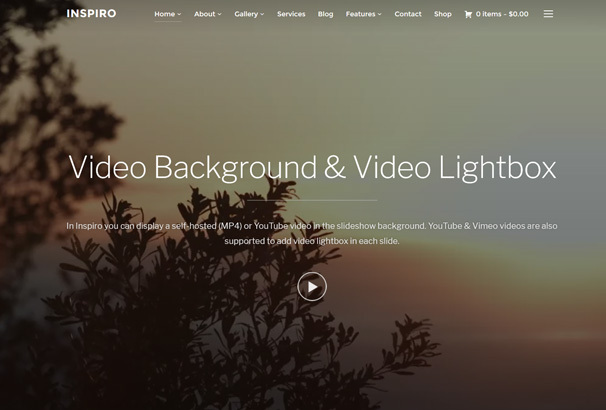 In this roundup post, we have gathered together over 35 different WordPress video themes for embedded and self-hosted video content – these are all created to handle and display your videos, so if you are looking for the best theme to create the next YouTube or host your own, check out our list of the very best examples. We have now updated this list for 2017 with some new themes and removed some older ones, if you’re in a hurry then check out this table with the top 10 video themes – we have listed out pick of the top themes along with the price and a speed test we carried out on the theme demo. 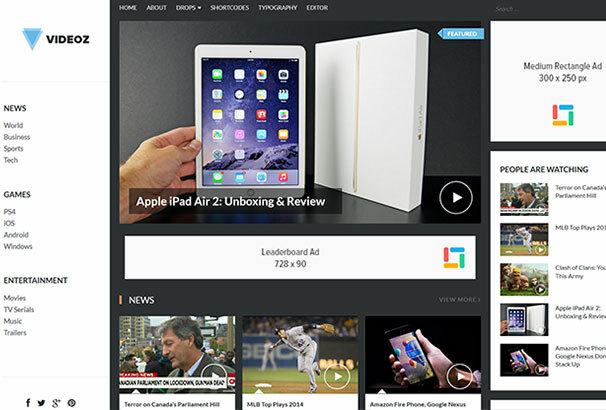 Video is a great looking modern WordPress theme designed especially for multimedia websites who need to display a lot of videos. It has some custom features for video websites such as a like / dislike rating system, a watch later button, playlists and integration with YouTube for view counts. It has been designed with SEO in mind so you can grow your organic traffic by adding more videos, either from YouTube or videos you have created yourself. 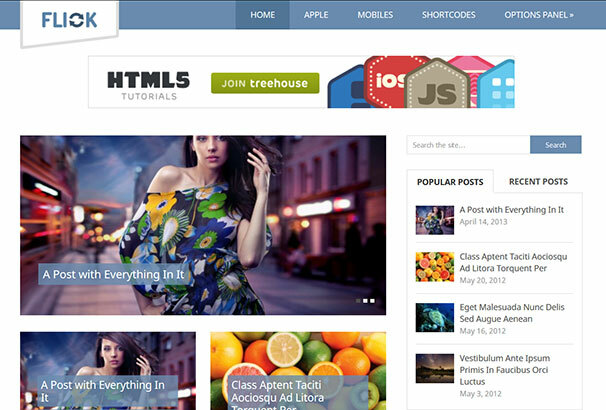 You could use this to build a viral website, magazine site, gaming portal etc. Another plus point is that it comes with 5 different theme designs to choose from so you can create websites in different niches with it. 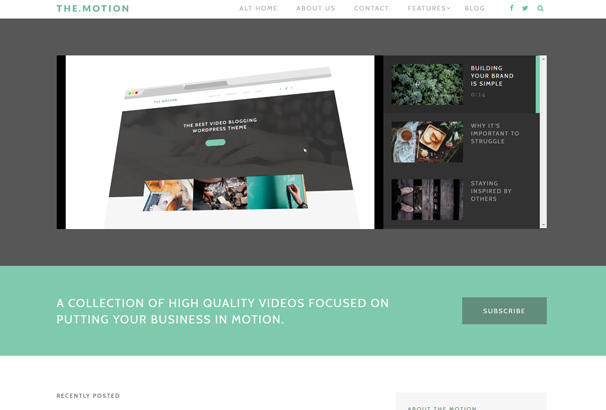 The Motion is a Video WordPress theme from Themeisle, suitable for video bloggers, YouTube creators and also for Videographers who need to create a business portfolio website. 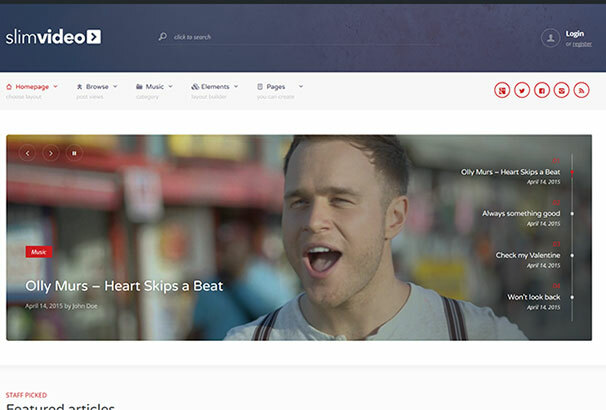 The homepage has header section which lists your featured videos and lets your visitors view videos within the frame. 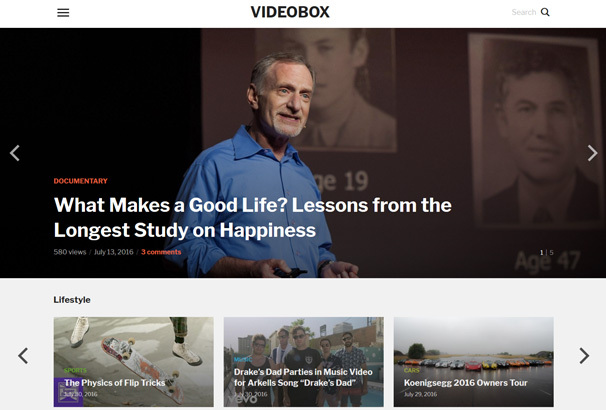 Underneath is a grid layout of blog posts and or videos. Another nice feature is that you can use it for eCommerce alongside the free WooCommerce plugin so you can create an online store. 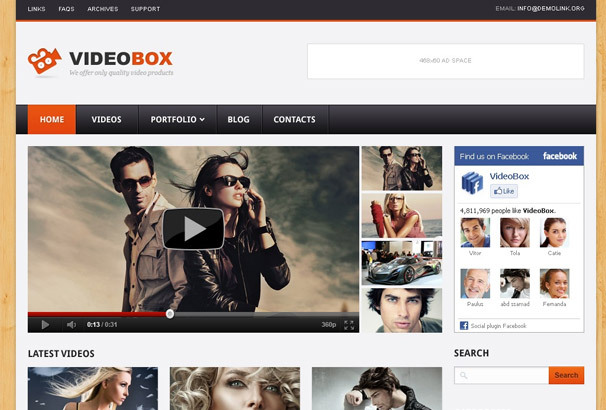 Video Box is a theme by WP Zoom for creating a magazine or blog style portal for multimedia content. You can add videos from YouTube, Vimeo, Facebook Video, Instagram Video, DailyMotion, Brightcove, Amazon S3. It has some great specific features such as automatic thumbnails from videos, a popular videos tab, widgetized homepage so you can arrange it how you like, a carousel widget, different header layouts and customization options so you can style it to mathc your branding. It also works out of the box with WooCommerce so you can use it create an online store. 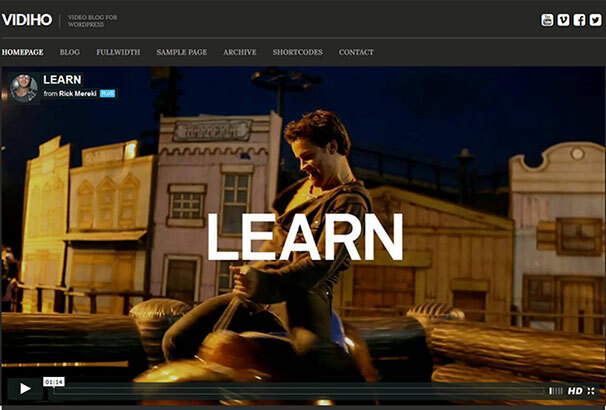 Inspiro is another theme by WPZoom with the emphasis on video content. 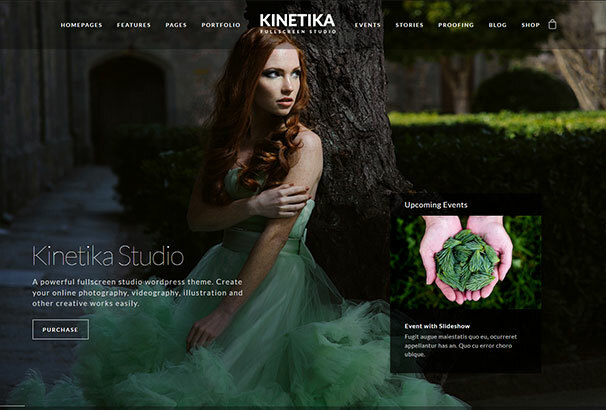 It has a professional design so it’s suitable for business sites, portfolios and personal websites. It makes use of video backgrounds and full-screen videos and it also comes with a page builder so you can create any layouts you like. 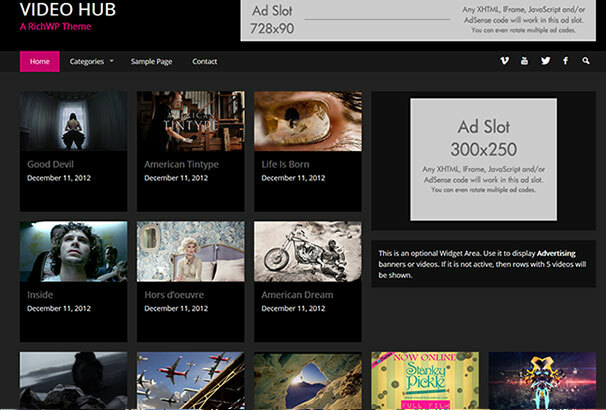 The gallery module is handy if you wish to use it for a portfolio, displaying your video work. Flick is a modern magazine style theme which allows you to post any type of content including videos, photographs and other media. Post display in a grid on the homepage with some nice mouse over effects and it contains some custom widgets for the sidebar to display popular posts, recent posts, social media profiles and so on. Choose this one if you would like to display a lot of magazine style content in a small area. 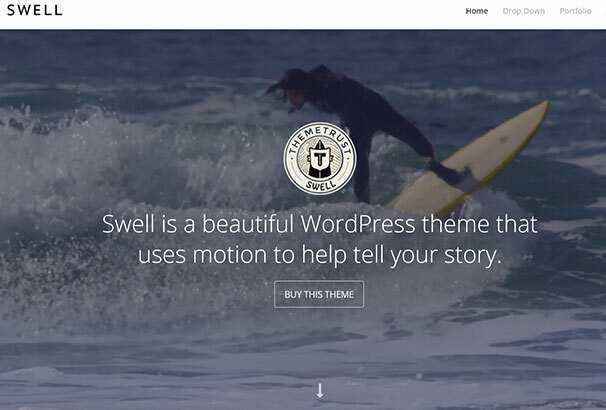 Swell is an WordPress theme with a beautiful design which allows you to use full screen videos in the background with text and your logo overlaid on the top. 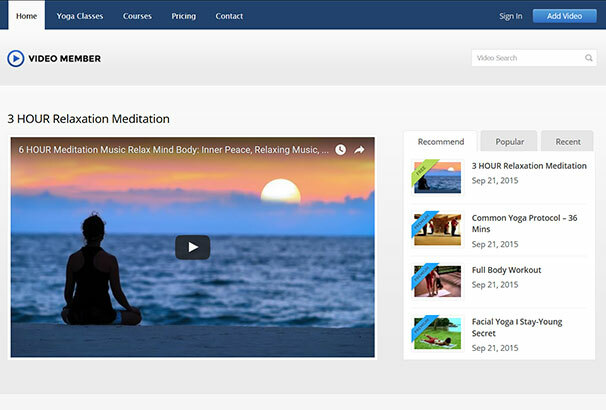 It supports self-hosted videos as well as videos from Vimeo and YouTube. 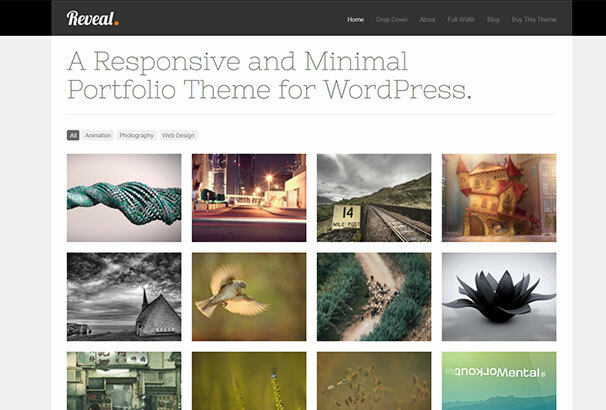 You could use Swell for a business website, portfolio website or a personal blog. This video blog WordPress theme comes with a robust admin panel of Cherry Framework allowing you to modify any detail without touching its code. Video content is grouped into categories under an easy-to-navigate slider , which will make it easier for visitors to find a necessary file. 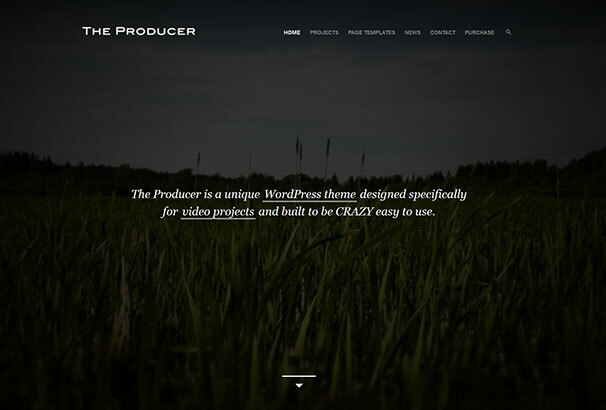 A modern WordPress theme for displaying your videos along with number of plays, categories, tags and more. 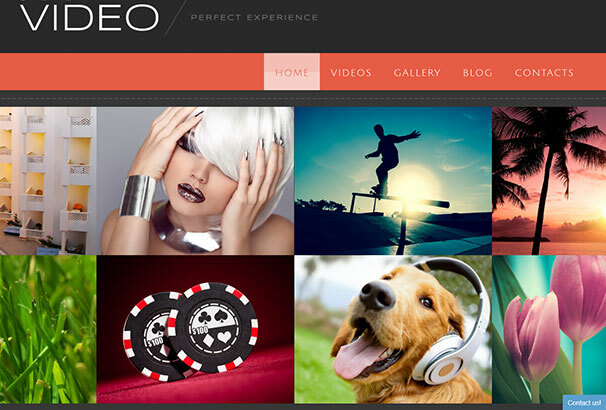 A WordPress theme which is responsive and designed to help you create a video gallery style website. 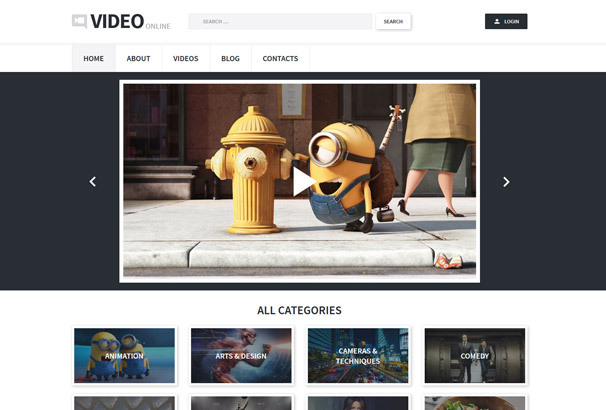 Display embedded or uploaded videos with this responsive WordPress theme. 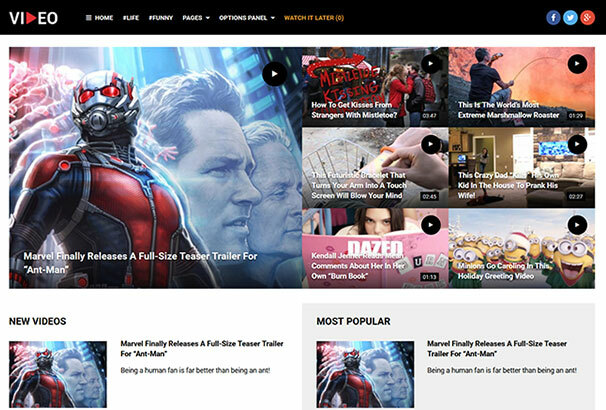 A light-weight WordPress theme for showing videos, movies, TV episodes and more. 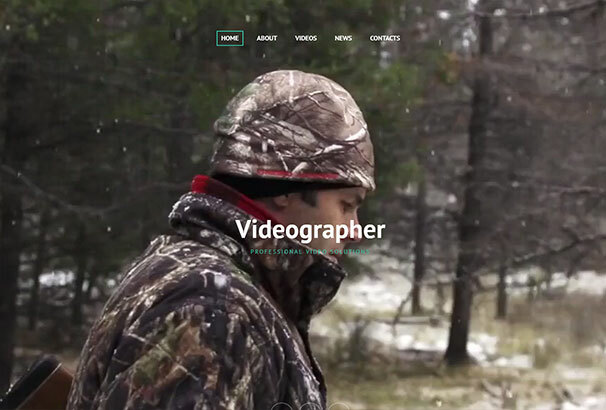 This Videographer Web Template is a bright example of how an awesome portfolio should look like. 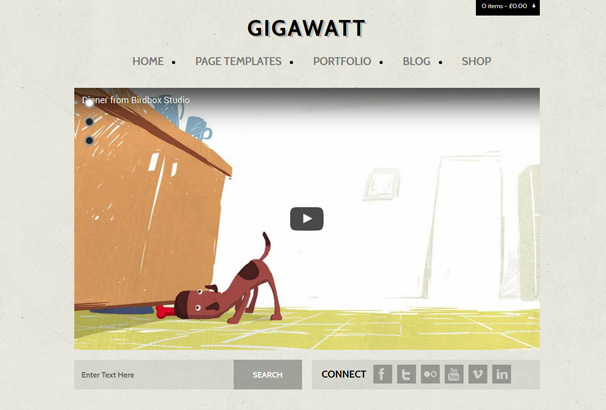 Its homepage is designed to be full screen thats rather modern and trendy today. You can put a call-to-action at the forefront to attract more customers. Menu and social sharing buttons were made transparent . After entering About or Videos page your visitors will be introduced to your latest works and projects. 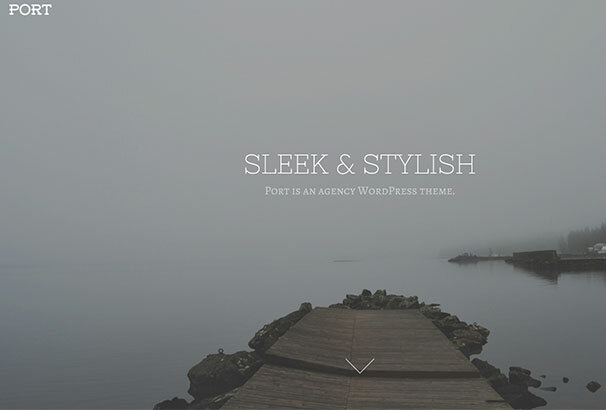 Port is a beautiful and stylish agency theme that features multiple parallax sections on the home page, and a sleek slide-out main navigation. Compatible with WPML – The WordPress Multilingual Plugin. This theme’s layout adjusts to look great on any screen size or device. 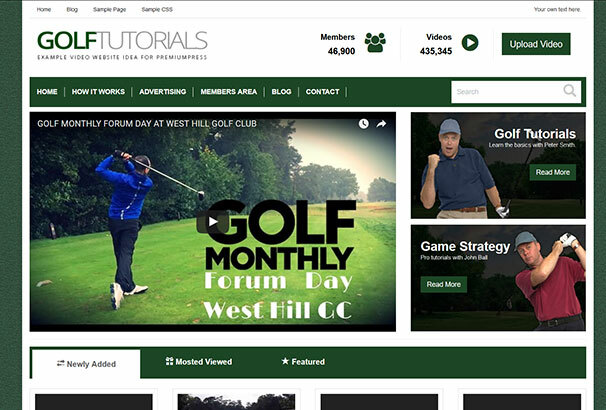 Video Member is a WordPress Membership Theme designed for building sleek video membership website to sell your video content online. It is an excellent video theme and a great tool to build recurring passive income for a long term. Meet Vidiho. 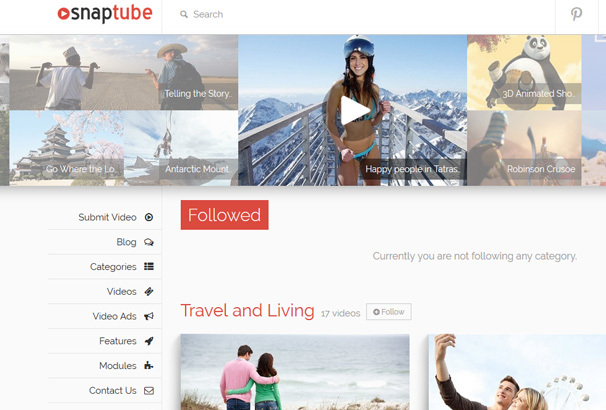 Our first video blogging WordPress theme. 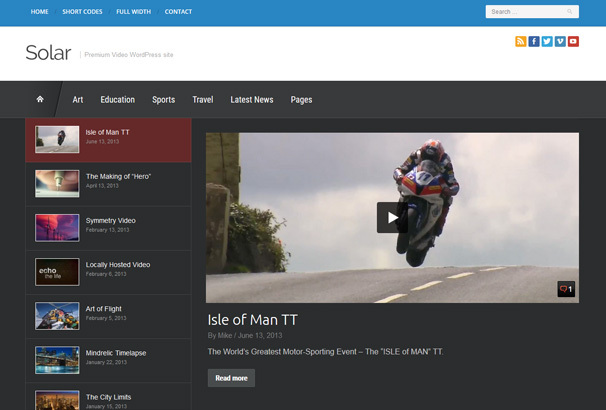 We use WordPress’s built-in video functionality which makes embedding videos really easy. 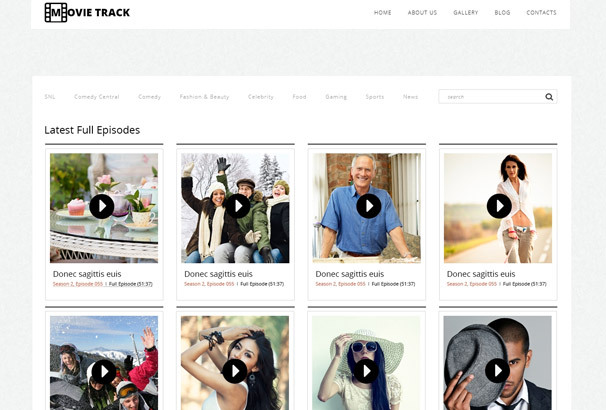 Make your most important videos stand out using Vidiho’s gorgeous homepage HD slider. Custom widgets mean more functionality. Content widgets, social networking, Twitter, Flickr and more! VideoCraft is not just your regular Video Theme. 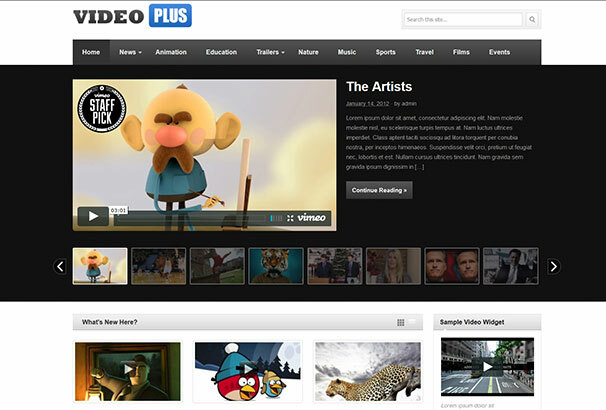 Using VideoCraft you can run a full-blown user generated Video website just like YouTube or Vimeo. 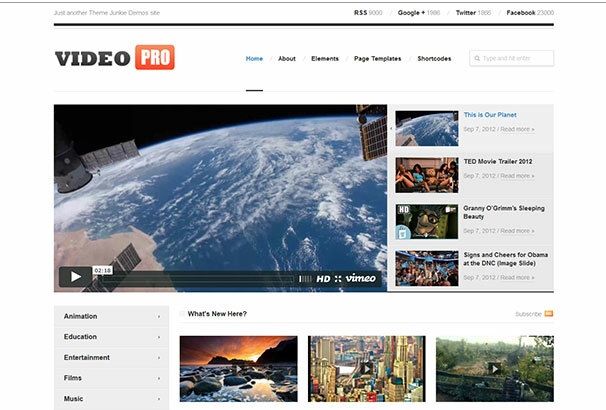 As prime features, the theme has a user registration module, a system for user video uploading and video embedding. 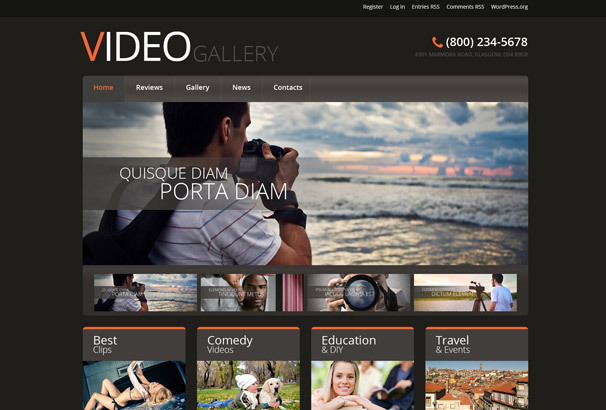 VideoCraft makes it really easy to set up a fully functional video website. Easily set up your own video blogging or video featuring sites in few clicks without getting into coding and other technical stuffs. 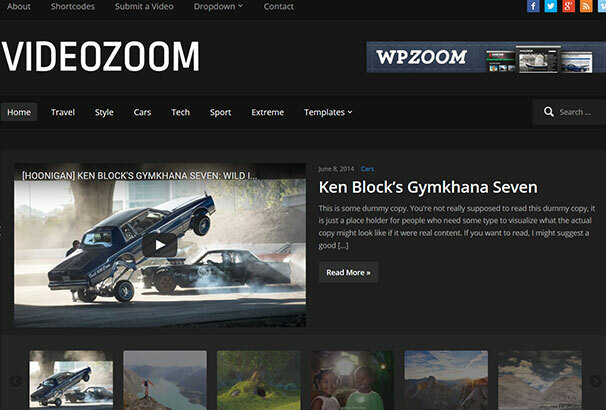 Videozoom is a powerful video theme which allows you to showcase videos from all across the web. The flexible slider and support for self-hosted videos makes Videozoom the perfect choice. With our advanced Theme Options Panel, you can easily customize every detail of your theme to best suit your needs. 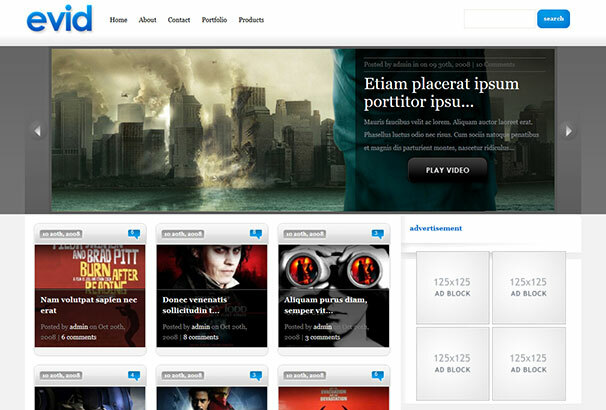 “Video World” is a clean and easy-to-use, new generation WordPress Video Theme. Its design is contemporary, classy, useful and to the point. 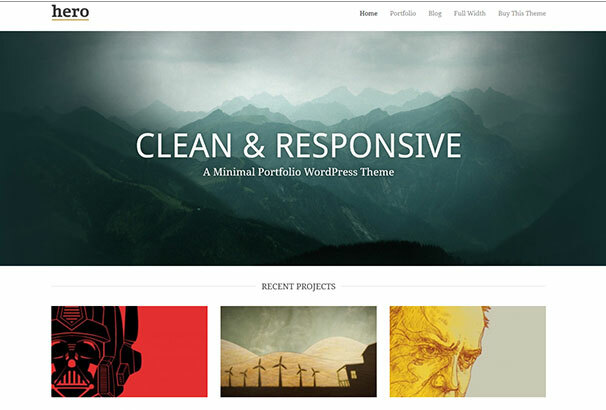 A simplified, yet smart and sophisticated WordPress theme which does not provide you with endless layout- or confusing theme options. This enables you to streamline your publishing processes. This responsive and adaptive RichWP WordPress Video Theme offers an intelligent way to display a large number of posts that will immediately attract your visitors’ attention right on the front page. The optional featured posts section lets you highlight your best content, while the carefully placed widgetized areas are perfect for displaying revenue generating advertising. Ideal for free/paid video access websites such as e-learning, online tutorials, adult video and stock video websites. Ever looked at Youtube or Vimeo and wished you could do it too? 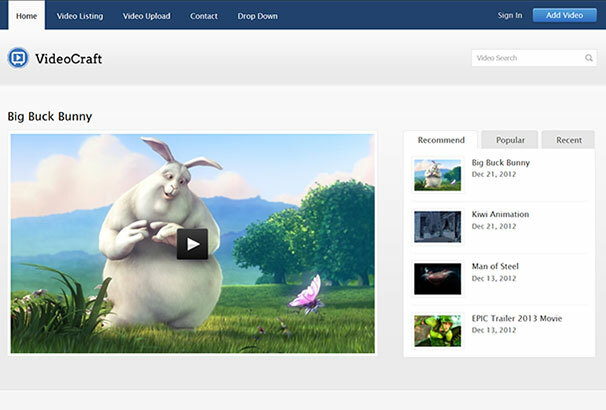 Well now you can with this premium video sharing WordPress theme from PremiumPress. 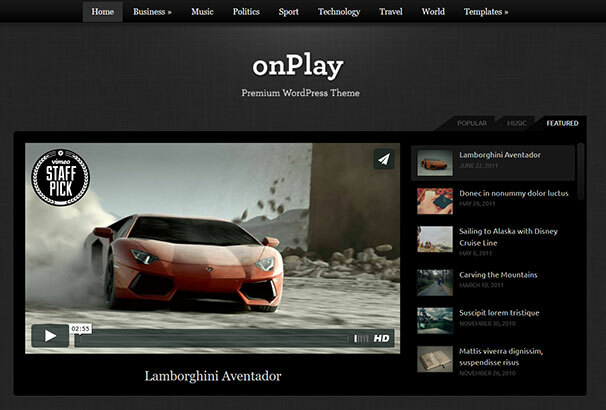 onPlay is an advanced magazine theme with plenty of features and a flexible layout. 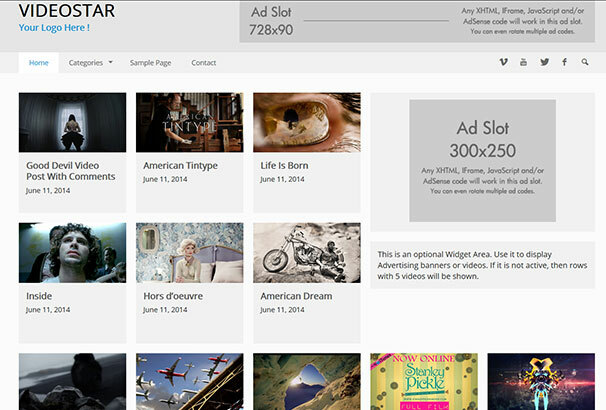 Customize everything and add as many featured categories as you want on the homepage. 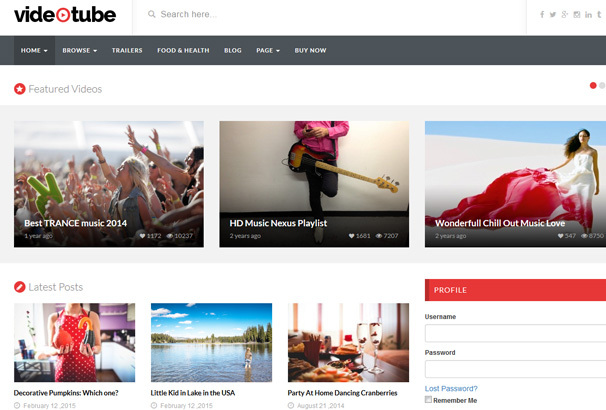 Showcase your featured posts and videos with the easily configurable homepage slider.